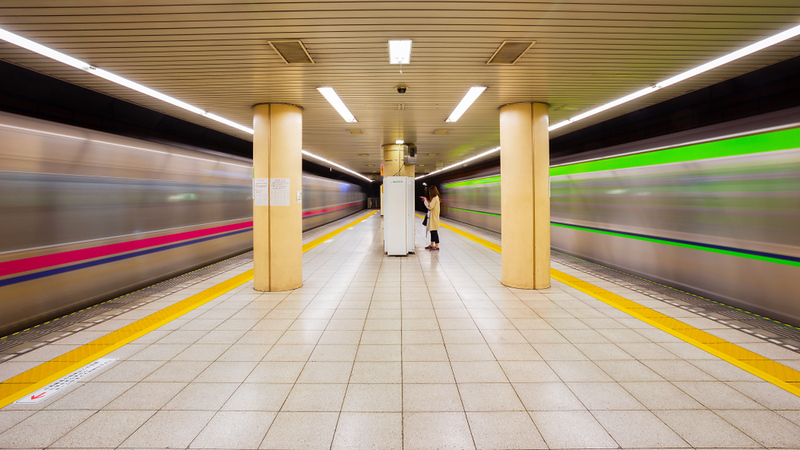 Tokyo's subways and trains are the best way to get around Tokyo. Here, I'll give you all the details on the Tokyo subway and train system. The best way to get around Tokyo is by train and subway. There are two subway systems in Tokyo (Tokyo Metro and Toei Subways). They're interlinked, so you don't have to worry much about this. The most useful train line in Tokyo is the JR Yamanote Line, which is commonly called the "Tokyo Loop Line" or just "Loop Line." You can use a Japan Rail Pass on this line. The best way to pay for all trains and subways in Tokyo is with a prepaid Pasmo or Suica card. See below for all details. They're pretty well interlinked, so you don't really have to worry about which one you're on etc. The only time you really have to think about this is when buy an individual ticket. In order not to have to worry about this, I recommend either buying a subway pass or prepaid card (for details on both, see below). Validity: Unlimited use for one day of both Toei and Tokyo Metro subways (but cannot be used on JR trains like the Loop Line). Where to buy: At all Tokyo Metro and Toei ticket offices and machines. Best for: Travelers holding Japan Rail Passes who want to ride the subway several times in one day. Validity: Unlimited use for one day of both Toei and Tokyo Metro subways, JR trains and Toei buses (ie, almost everything you are likely to ride when exploring Tokyo. Cost: Y1,590 for adults, Y800 for children. Where to buy: Tokyo Metro vending machines and ticket offices, Toei ticket offices, JR East ticket offices. Best for: Travelers without Japan Rail Passes who want to ride the subway and train several times in one day. By far the easiest and best way to use Tokyo's subways and train is with a Pasmo or Suica card. You merely swipe the card over the reader on the turnstiles when you pass through when entering and leaving the system. The fare will automatically be deducted from your card and the machine will show the remaining balance. For details on where and how to buy one of these cards, see my Prepaid Cards – Pasmo and Suica page. JR Yamanote Line: Commonly known as the "JR Loop Line" or just "Loop Line," this line runs right around central Tokyo and connects most of the major hubs (the main exceptions are Roppongi and Akasaka). You are likely to be riding this line a LOT in Tokyo. JR Chuo Line: This line cuts across Tokyo, running roughly east-west. It can be useful for moving from, say, Shinjuku to Tokyo Station. To ride JR trains in Tokyo, you can buy individual tickets, use a Japan Rail Pass, use a Tokyo Combination Ticket or a prepaid card like Suica or Pasmo. Avoid riding subways and trains during rush hours (7.30am-9.30am and 5pm-8pm). 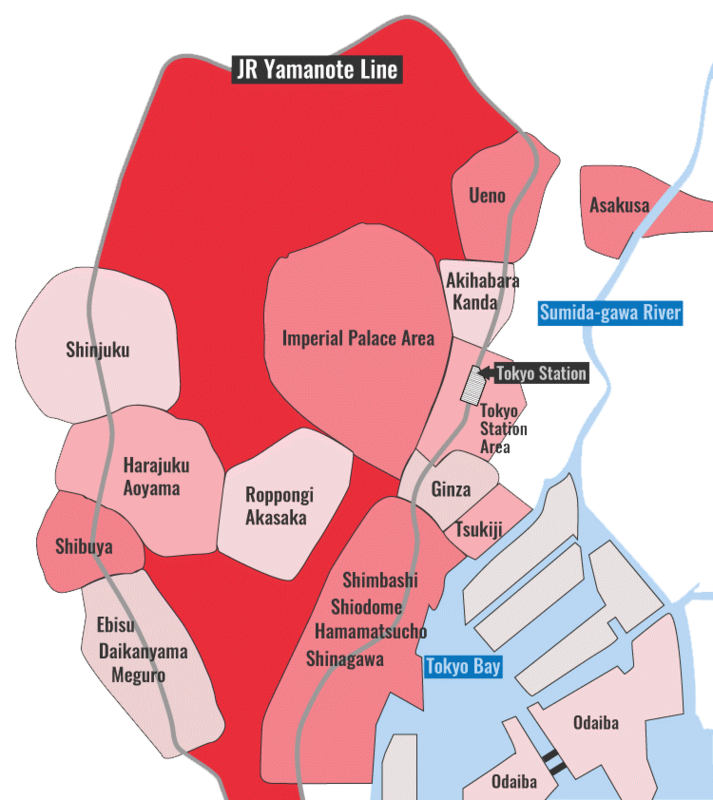 Use the JR Yamanote Line to move to nearby hubs on the edge of the city. Use the subways to cross the city or access hubs on opposite sides of the city. If you are buying single tickets and can't figure out the fare for your destination, simply buy the cheapest ticket. When you get to your destination, put the ticket in the fare adjustment machine, insert the proper additional fare and use the ticket it spits out to pass through the turnstiles.